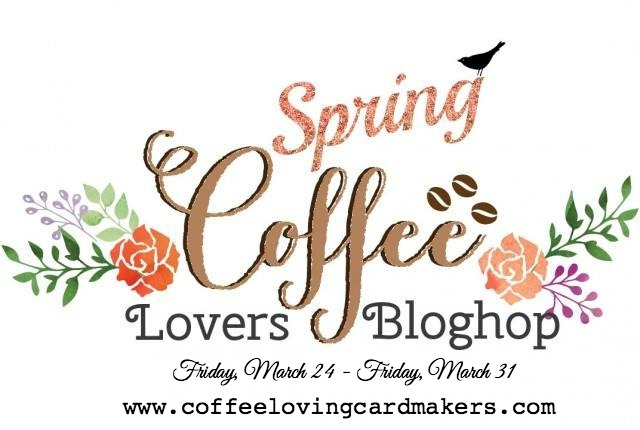 Sweet Greetings: Coffee Lover's Spring Blog Hop! This is so adorable! I love this image so much I could just squeal! Adorable! cuteness overload! Love this Shelly! You've been rocking the Waffle Flower! OMG - way too cute! Love this sweetness. Cute card Shelly. I am not familiar with this stamp company. Thank you for commenting on my card. I can't believe how far behind I am. I have had so many interruptions while trying to hop. Ha! So, I am just now getting to your blog. I just love this stamp set and your card is so sweet. Love all the white space. I wanted to thank you for all the sweet comments you leave on my blog during the hops, I always appreciate them. Wow! love your coloring! Pretty card! What a cute card and I love that it is a clean and simple design. Your coloring is wonderful too! ooohhh...the cuteness! What a fun image and colored so beautifully! Oh my! This is so adorable! And love how you've colored the bear and the flowers are so pretty! Beautiful coloring on this sweet card! 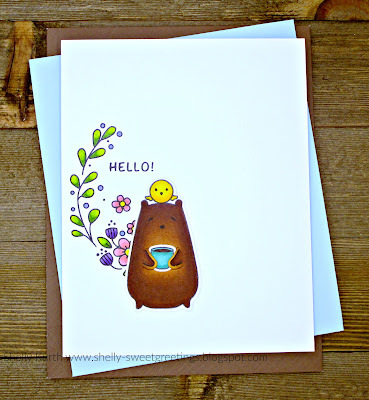 What a cute bear - wonderful coloring - it really accents the cup in the bears hands - great card design! Super cute! Love your colouring. Such a sweet card Shelly. Love the cute image and the tiny cup! So cute! The flourish flower image is a nice backdrop. Oh, my! So so cute with the bear and little bird!! Darling card! My maiden name is bear and I love coffee soooo this is the perfect image for me! lol Thanks for sharing! I love this card and its bright colors! This Waffle Flower stamps is really cute! What a darling pair and I love how you colored this! Thanks so much for all the love you've left on my blog!! This is so cute! Your CAS design is perfect. love your coloring of this delightfully cute image - great design! I've been trying "not" to order the WF bears, but then the bike one appeared and...well, my rubber arm was twisted! Hope it arrives soon (along with a *ahem* couple other things I *might* have ordered...so much for not shopping, but that decision came 'after' the order. And that's my story!). LOVE your card; cuteness to the max!